To register for upcoming workshops in Danforth, North York, Richmond Hill and Scarborough, and Downtown Toronto or for more information, please see our Schedule Page. “I'm so glad I attended your MBSR workshop for hundreds of reasons. Daily I practise shorter meditations and keep reading—and re-reading—the FCL book. I'm so much more aware of my thoughts and how at times they lead to nausea. MBSR offers the possibility of connecting with the space of health and well-being within you regardless of your life situation. We often find ourselves at a tipping point in our lives due to the multifaceted challenges of living in our fast-paced world. It could be around a time of crisis in your life—physiological, psychological or emotional, or that feeling of being overwhelmed, frantic and just wanting balance. Perhaps you’ve lost your connection to your own inner resources to health and well-being or to your own practice and want to reconnect. The MBSR Workshop offers a safe, nurturing environment in which to reconnect with life in a new way which enhances/improves the quality of your life and relationships. The course is challenging and life-affirming. 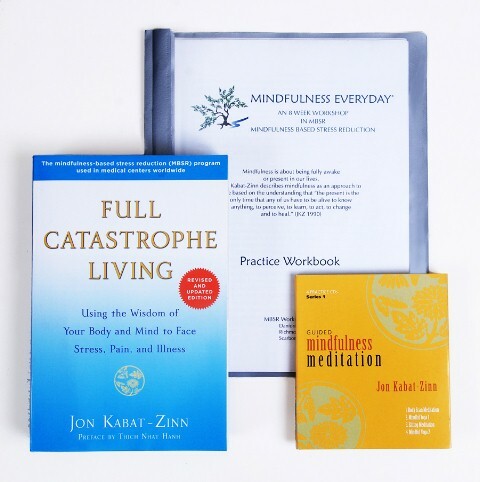 Through a series of 8 weekly sessions, participants learn and integrate mind-body techniques, designed to uncover and strengthen resources that are already within. Mindfulness Everyday offers MBSR workshops in Toronto and the Southern Ontario region. For workshop schedules, please see the Schedule Page. The course consists of eight weekly sessions and one all day retreat session on a weekend. Course fees include materials – the text, audio CDs, workbook. In the spirit of generosity, some spaces may be available to those who genuinely are unable to afford the full cost of the workshop. Alternative payment options may be considered. Facilitated by experienced instructors, the course is conducted in a safe and supportive learning environment. Mindfulness Everyday Refund Policy for MBSR Workshop: We are confident you will find our classes enjoyable and beneficial. However, we do understand there are times when you may need to drop out of the course. Our refund policy is to provide a full refund, less a $25.00 administration fee, if the request is in writing and received by us, at least 24 hours prior to the course start. For subsequent written requests to withdraw, received by us up to 24 hours prior to the start of the second class, a refund of course fee will be given, less $100.00 to cover our costs up to that time. Course fees will not be refunded thereafter. To request a refund, please send an email to info@mindfulnesseveryday.com, indicating your name, the name of the class, reason for the refund, and a phone number where you can be reached in case of questions. *Prices quoted may change without notice reflecting market changes beyond our control. Insurance: MBSR is not therapy or medical treatment. However, some insurance plans do cover health education and wellness classes. If your plan covers the MBSR program, we will provide the information you need to request reimbursement directly from your insurer.